Marissa Meyer explains why she was drawn to writing the origin story of Wonderland's Queen of Hearts. 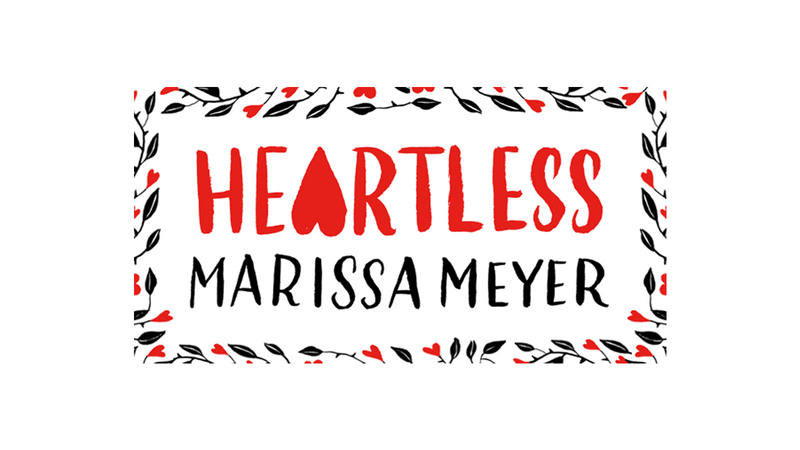 Marissa Meyer, author of Heartless, the story of the girl who would become Wonderland's notorious Queen of Hearts, talks to us about what drew her to the idea of exploring the character's history. Lewis Carroll’s Alice's Adventures in Wonderland almost reads like a catalog for some of literature’s all-time most fascinating and memorable characters. As we travel through the world of Wonderland at Alice’s side, each creature or person she meets seems more fantastic than the last. From the twitchy, waistcoat-wearing White Rabbit to the hookah-smoking, poetry-spouting Caterpillar; from the quirky (and sometimes downright rude) Hatter to the curiously wise Cheshire Cat with his incessant grin. But while I have loved the characters of Wonderland since childhood, one always stood out to me as one of those characters that is so much more than meets the eye—the infamous, hot-tempered Queen of Hearts. Her catchphrase—Off with her head!—might be one of the most well-known lines from any book in history, and yet we know surprisingly little about her from her brief run-ins with Alice. We know that she is easily enraged and apparently vain (at least, where her skills at croquet are in question). She has ten children—a full suit—and yet her relationship with the King hardly seems like the stuff of fairy tales. She does not tolerate white roses. And she bakes. Quite well, one might discern, from how the Knave is willing to risk his head in order to steal a batch of her homemade tarts. When I set out to write Heartless, my origin story for the Queen of Hearts, taking stock of all these little details felt like gathering clues. Why is so she so angry, so fast to call for someone’s head? What does she have against white roses? And really, what’s with the tarts? I set out to answer all these questions and more in telling her backstory. I took my fair share of liberties with Wonderland, of course, but ultimately I wanted to write Heartless in a way that didn’t contradict anything in the original Alice, but could rather shed light on some of the most baffling elements of the world, and the Queen’s character in particular. I wanted to show who she might have been, many years before Alice fell down the rabbit hole. I hoped to write the story, not of a rage-filled queen, but of a girl with much bigger dreams and passions. A girl wholly unaware that fate had its own plans for her. Though Heartless is written as a prequel to Alice, and starts the Queen on her path toward infamy, I hope that it will rewrite the Queen’s narrative in some way. Cast a new light on who she is, and who she was, and make sense of some of those baffling details that Carroll gave to us. I hope that after reading Heartless, readers will feel like I have for so many years—there is indeed so much more to this queen than we thought.